Google is working with dozens of big publishers to speed up the bloated mobile web. The Accelerated Mobile Pages, or AMP, project is an attempt to make web pages from participating publishers load pretty much instantaneously. The biggest newspaper and magazine publishers in the United States are on board, along with digital powerhouses like BuzzFeed and Vox. On Tuesday Google (GOOG) is releasing the new technology to developers so other sites can start to implement it. Dave Besbris, a vice president of engineering at Google, said AMP is a "technical specification for how to make web pages really, really fast." For that to happen, media companies have to first create new, pared down versions of their web pages. While it entails a little more work, Google portrays the project as a win-win-win: Better for users because news stories load more quickly, better for publishers because users will read more stories, and better for Google because its search engine will be more useful. "Readers and users consume a lot more content when the web is faster," said Michael Ducker, a project manager at Twitter, which is supporting the format. 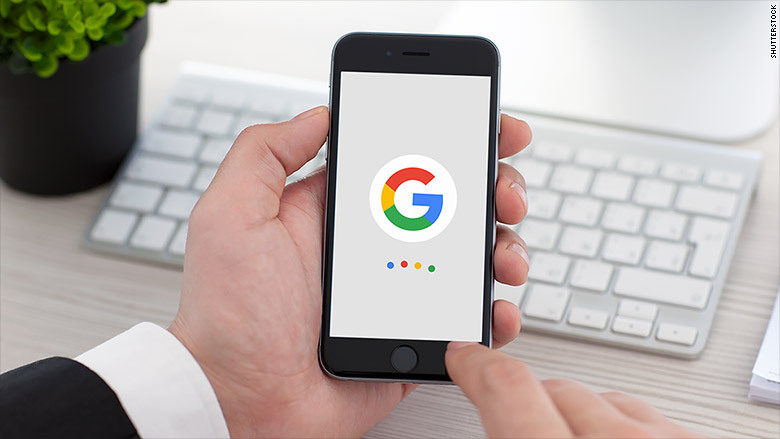 Google says it won't prioritize AMP pages in mobile search results simply because they use the new technology. But ultimately, there will be an indirect effect on rankings. For example, if a page loads faster, more people may stay on to read for longer periods of time, and share the link with friends. Those are all signals of quality, which helps with higher search ranking. The announcement is part of a grand tug of war between the native app environment -- like Facebook's hugely popular apps -- and the open mobile web. Some news organizations have struck deals to distribute content through Snapchat and Facebook (FB)'s apps and Apple's own News app this year. They are proprietary platforms. AMP, on the other hand, is designed to work in every major mobile web browser and assist any site that wants the help. Richard Gingras, Google's head of news, emphasized that it is an "open source initiative" does not involve any financial arrangements with publishers. At a Tuesday morning press event in New York, Gingras skirted a question about whether the new format is partly a reaction to Facebook's test of an Instant Articles format, which lets news stories live inside Facebook. As for Google, he said search results won't automatically favor articles that are formatted with AMP, but he noted that Google already favors "performance," meaning sites that load relatively quickly and don't bog down web browsers. The bloated nature of the mobile web has been a big and fraught topic among publishers and technology companies. Ads and tracking technologies have contributed to a malaise of sorts, slowing down sites and sometimes turning off users altogether. There has been a rise in the use of ad-blockers, partly to speed up loading times. Cory Haik of The Washington Post, one of the early partners, said of AMP, "We're excited to see how it changes performance." While The Post is also prioritizing its own apps, "the mobile web is where we have scale and where we're going to develop new audiences," she said. To see what AMP pages look like on your phone, click here for a demo, and search for a news story. The articles that appear should load instantly after you click on a link. Is your page mobile friendly? Use Google's tester.